Patty Witt has taken her studies and incorporated her own understanding of the Pilates discipline and made a name for herself in the fitness world. A talented and highly educated professional, Patty will challenge you to reach your potential. Come experience her classes that have a classical tone and will teach you body awareness, build your strength and your confidence. Classes are led with your physical ability in mind. 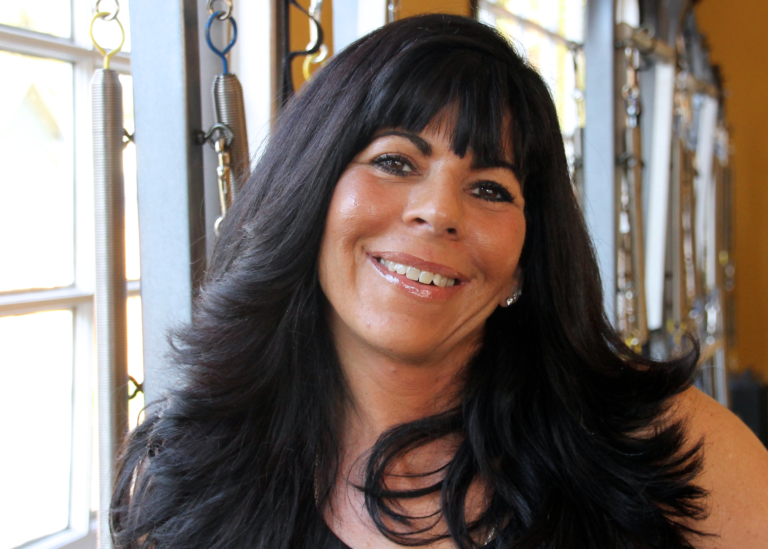 Patty’s Pilates career started at Integrated Fitness Solutions in Yardley. She opened Pilates Bodies Fitness in 2013 and changed the studio’s name to Witt Pilates in 2017 as the first step in growing further in the Pilates world. Patty holds two exceptional Pilates certifications. Her first certification was earned at BASI, Body Arts and Science International. The second is a classical certification where she studied under Donna Longo, a student of Romana Kryzanowska. Romana Kryzanowska (born 1923) was a student of Joseph Pilates and his wife Clara at their studio on Eight Avenue in New York. After the death of Joseph Pilates in 1968, Clara Pilates continued the studio for a few more years, and in 1970 Romana Kryzanowska became the director of what was by that time called “The Pilates Studio.” This training makes Patty a 3rd generation disciple of Joseph Pilates.